Motion of the ocean doesn’t suit me. 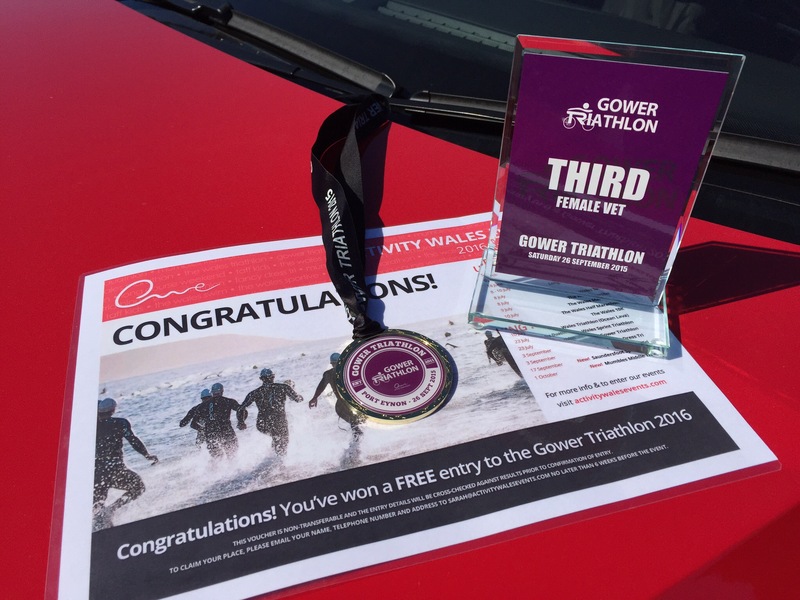 Another record breaking performance at my end of season triathlon. Not just once or twice but I was sick four times in the swim, once in transition ( into the relay changeover pen) and finally about half a mile into the bike at top of a 13% hill. After being motion sick in the 5 previous sea swims, this was the first swim as part of a triathlon. 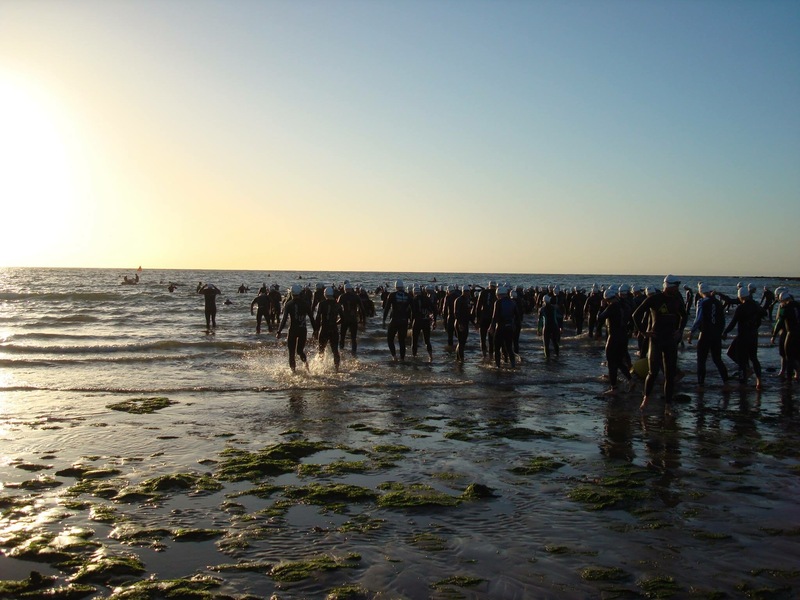 I tried an Olympic distance to determine if sea based ironman options would be viable or not. Obviously NO ! This time I tried a more liquid breakfast, no lumps desired to choke on, breathing every four, focusing on stroke etc. Stopping to be sick doesn’t phase me, just annoying as I lose time in the swim. It won’t stop me doing short distance triathlons again but I seriously have to consider future ironman races. Both ironman Wales & Mallorca are looking doubtful for me now. The following day it was joked I could do a weightloss & tone up DVD as you lose you breakfast and workout your abs with wrenching ! It took three days for my abs to lose their tenderness. 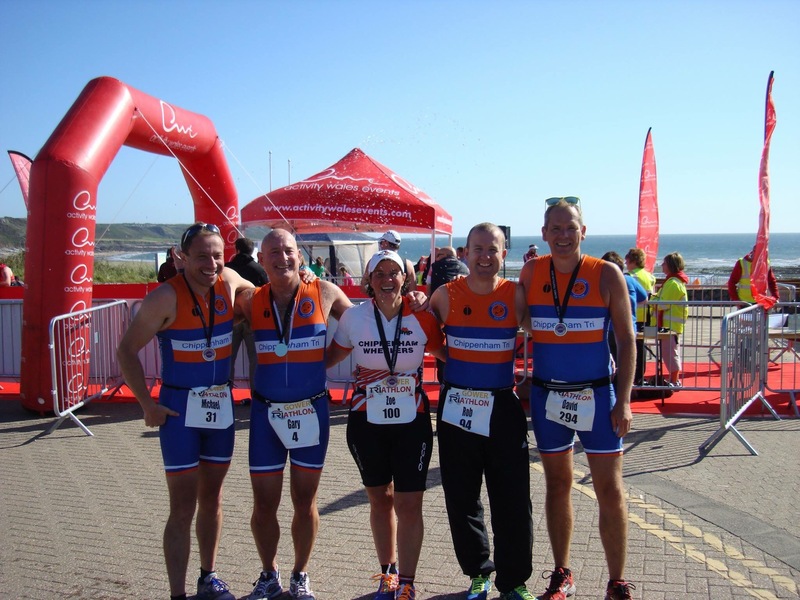 The setting was Port Eynon, Gower in Wales with stunning scenery, lots of hills and a mixed terrain run course. You don’t do this one for a PB but for the challenge, organisation and friendliness. 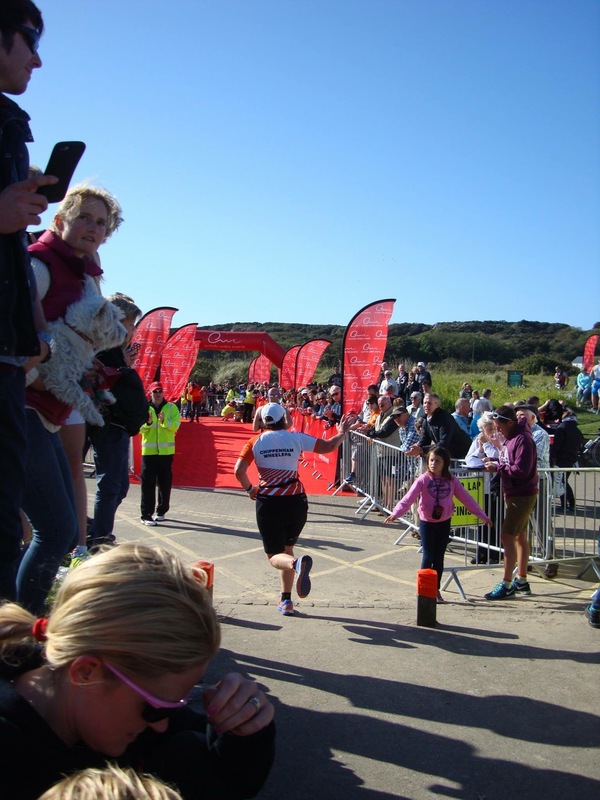 The red carpet finish is a nice touch and Activity Wales know how to put on a good value, challenging, scenic & fun event. It’s great for spectators too, I think our club racers – Chippenham Triathlon ( my second claim club via Wheelers) were out numbered by 2:1 with supporters for the end of season club championship triathlon. It was the last race of Chippenham Tri championship so I managed to get my name on the board. The weather was kind to us and the sunshone throughout the race. The sea was a little lumpy and the winners time this year was nearly 8 minutes slower than his previous years win. The wind was light and temps rose as the race went on. 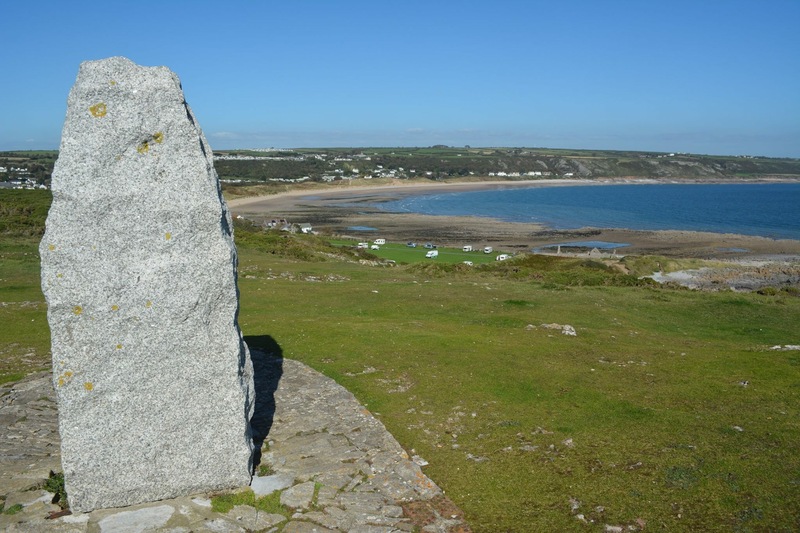 Port Eynon is at the end of the road on the coast, there are plenty of accommodation and parking options. Normally just a 2.5 hour drive from home this trip was 4+hours due to M4 being closed. Couple of fish & chip shops on seafront along with ice cream and tat shop for toys. What more do you need ? Quick easy registration on the Friday night, drink in the pub then back to cottage to meet my roomies for the weekend. The six of us all got on great, with just Rob & I racing we got the luxury of single beds while the others cuddled together. Hardest part about 8am start was seeing the parking pay machine buttons requiring vehicle reg. Racked next to the bike exit and headed to the beachfront for briefing. Two lap swim with Aussie exit, one lap ride and two lap run along beach, sand dunes, boardwalks, up hills and down grass track. 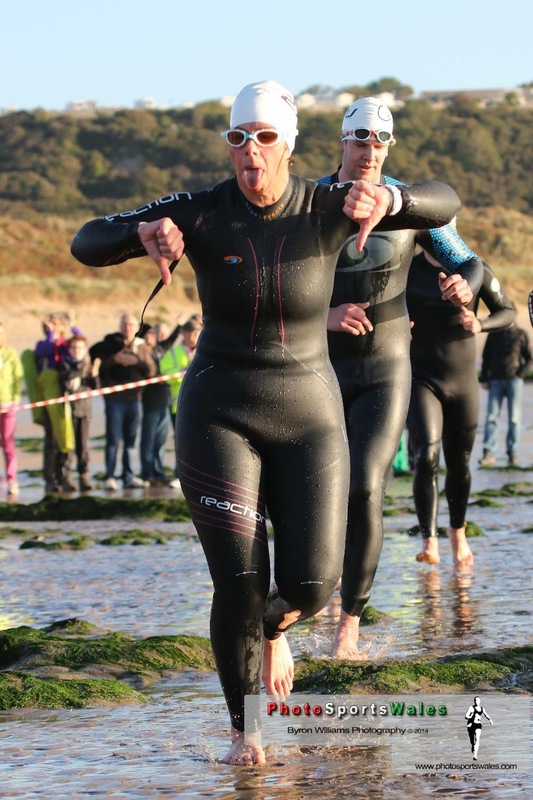 Swim – whilst I was sick twice each lap I didn’t feel too nauseous running up the beach into T1 But maybe the uphill run and bending down to get shoes on got me as I decorated the relay pen. Bike – you literally go 150meters before you round a right hand bend then head straight up a 13%hill. Earlier this year I cramped part way up this hill so was concentrating of getting to the top in one fluid ride. Again my lungs bursting with exertion and my stomach responded ,seeing a drain cover I thought I was keeping the course tidy only for a marshal to step out and get my breakfast on his feet – I have apologies to the organisers & even marshal I saw post race. ! Then it was a single lumpy loop around the Gower peninsula. A bullock caused some obstruction as it wanders down the centre of the road. Do we go left or right ? Don’t want to spook him. Great views from the hill tops and having been down to the Gower in May for a few days training I remembered some of the sweeping downhills and where the killer uphold were. Course knowledge certainly helped. Run – first of all about half a kilometre along the beach, up and over the sand dunes, then the first long climb that reduced many to a walk, past caravans the another grass verge and hill, turn around back along beach but cut off early up a dune then along the boardwalk to complete the lap. It took the first lap for me to find my legs. My stomach was now settled and I managed to get some energy drinks on the bike. I grabbed a cup of water and the second lap was 3 minutes faster and felt more fluid. My weekly trail runs certainly paid off on this course with the unstable sand dunes, pebbles, bouncy boardwalk and beach. Finish – whilst happy to see the red carpet and the wall of orange & blue supporters I was a little sad it was over ! Yes a tough one but I really enjoyed being out on the course in the sunshine and the supporters & marshals all cheering us on. Back in transition packing up and a couple of club mates called me to say my name had been announced and to go to the finish area. I’d only gone and got an old ladies podium place 😃 Third in the over 40’s. Got a free entry to next year – so I will be back seasick or not ! Also well done to David who also got a matching third male old guys trophy, so two for Chippenham tri. The race was on the Saturday which also coincided with the Wales V England World rugby cup match. Although in the minority’s being in Wales the atmosphere was electric, good natured and respect given to both teams for a great close match. As soon as the match finished with a Welsh win, Delillah was sung at full volume by all and the dance floor filled with red & white supporters and many more glasses raised.